View ThreeSixty’s 2018 Program Report. View ThreeSixty’s 2017 Summer Recap. 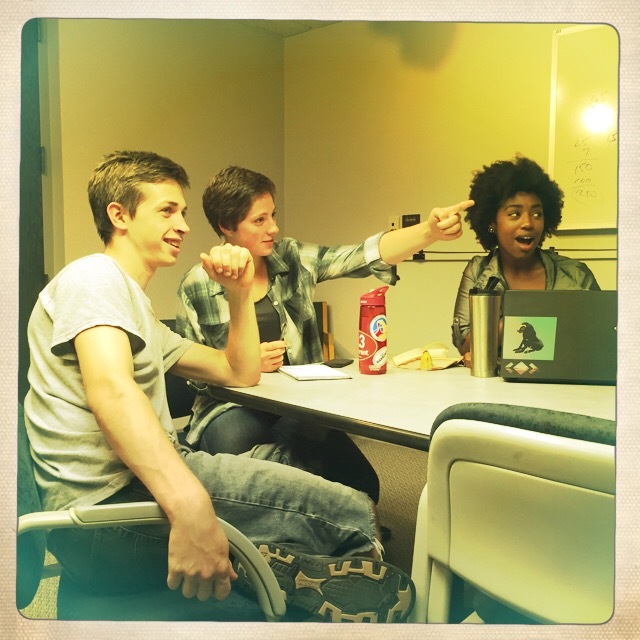 ThreeSixty Journalism, a nonprofit program of the College of Arts and Sciences at the University of St. Thomas, uses the principles of strong writing and reporting to help diverse Minnesota youth tell the stories of their lives and communities. Students learn the power of voice and storytelling, and become more driven, confident, tenacious and passionate in life. ThreeSixty offers multimedia summer journalism camps, as well as school year programming, all on the University of St. Thomas, St. Paul campus. Our journalism programming improves writing and communication skills, provides an immersive experience of life on a college campus, and enhances social skills both in and out of the classroom. Click here to learn more about our program options. 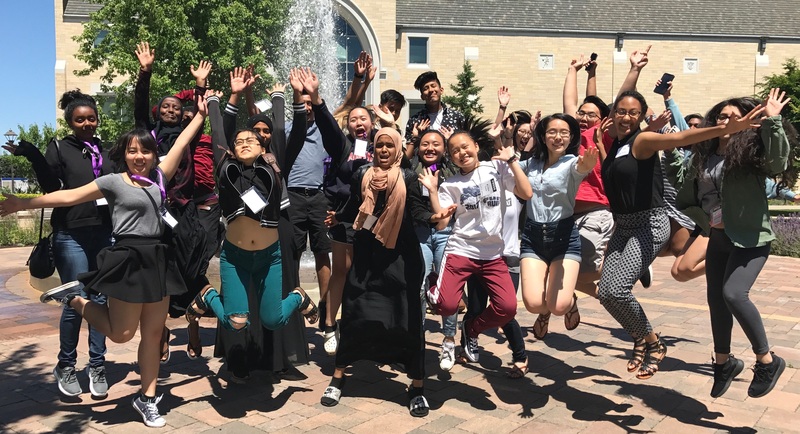 Each year, high school seniors who are graduates of a ThreeSixty summer journalism camp compete for the ThreeSixty Scholarship – a full-tuition, four-year award to study communication and journalism at the University of St. Thomas. Click here to meet our current scholars! Housed at the University of St. Thomas since 2001, ThreeSixty Journalism launched at the University of Minnesota in 1971 as the Urban Journalism Workshop (UJW). UJW provided basic journalism training to Minnesota high school students, particularly low-income and minority teens. UJW was part of a nationwide effort to increase the presence of minorities in newsrooms in order to better reflect and serve increasingly diverse communities. Today, ThreeSixty continues to serve as a leading “career academy” for budding journalists and is helping shape a future media that is representative of Minnesota’s rapidly diversifying population. (Take a look at what some ThreeSixty alumni are up to today.) However, it’s not only future journalists who benefit from ThreeSixty. ThreeSixty offers high school students of all backgrounds and interests opportunities to gain 21st century skills and knowledge for success in high school, college and beyond. Participants experience a space for self-expression, and our journalism programming serves as an opportunity to improve writing and communication skills, experience life on a college campus, and enhance social skills both in and out of the classroom. What’s Being Said About ThreeSixty . . .
“ThreeSixty is the highlight of my high school career so far. I’ve learned so much about paying attention to the world around me and proper communication, and I know I’ll be learning even more next year!” – Mina Yuan, ThreeSixty summer camp graduate and News Team journalist. “I love to watch young journalists learn about our craft. I’m proud to have the opportunity to share it.” – Jocelina Joiner, Manager, News and Content at LAKANA and a volunteer at ThreeSixty. “I continued with ThreeSixty because I love writing, and they provide more than just writing skills, or ways to be a better writer, like career opportunities, school options and mentors that help you with whatever — even just a place where you can safely talk about what is going on around the world.” – Skyler Kuczaboski, ThreeSixty Journalism summer camp graduate and News Team journalist. “I really enjoyed working with such bright, motivated students. Bao [Vang, the engagement coordinator,] and Miles [Trump, the program manager,] did a great job of coordinating and keeping everyone on task, and at the end of both days, I felt like I had made an impact.” – Erin Golden, reporter at Star Tribune and a volunteer at ThreeSixty. “I’m eternally grateful for ThreeSixty and all the opportunities I have received because of it.” – Maya Shelton-Davies, a ThreeSixty alumna and freshman at the University of St. Thomas. “I liked empowering these kids, and making them feel like they mattered.” – Whitney Oachs, University of St. Thomas sophomore and a volunteer at ThreeSixty. “I feel I have a lot of friends here. And I’ve become really used to coming here [to the University of St. Thomas campus], and it’s kind of like something for me to do. And it’s also because it makes me feel Iike I have a purpose … There are a lot of valuable skills (learned) here.” – Shay Radhakrishnan, ThreeSixty summer camp graduate and News Team journalist.